Apple's latest set-top is is a major redesign, with the fourth-generation Apple TV featuring Siri, an App Store, an A8 processor, and an updated remote with touch and motion controls. The Apple TV is the company's foray into the streaming set-top box market. 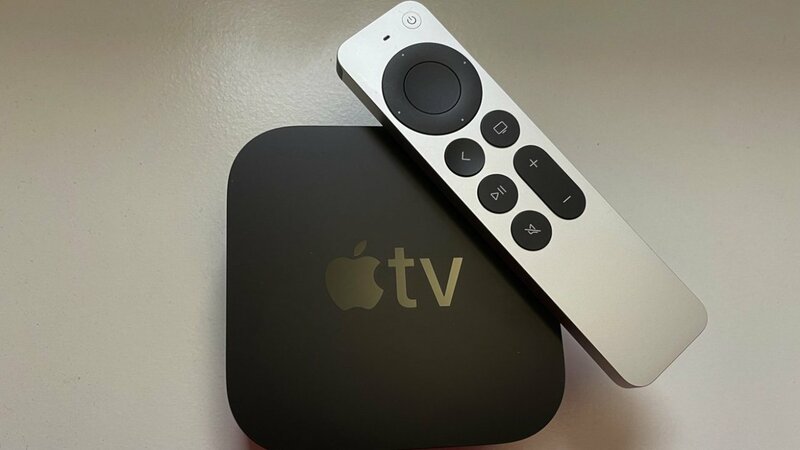 Originally released in January 2007, the Apple TV has been used as a way for iTunes customers to play movies and TV shows on their television, and to stream content from their iOS device to the larger screen, as well as from a number of third-party streaming services. Largely retaining the same design and usage over the first three generations, the fourth iteration introduced tvOS, an operating system that opened up the device further to third parties, and also expanded its utility to games and other apps, all of which could be accessed from the App Store. Apple launched an upgrade to the Apple TV in September 2017, with the Apple TV 4K introducing the ability to stream and view 4K HDR video using the set-top box using a suitable-resolution television. As part of the launch, Apple updated the iTunes Store to sell and rent out 4K versions of movies and TV shows, though these will be displayed at 1080p on earlier Apple TV models. Apple also expanded the reach of the TV app, increasing the list of countries from just the United States to a total of eight. At the same time as introducing the 4K model, Apple also reduced the 1080p Apple TV range to just one capacity, removing the 64GB option and leaving only the 32GB variant on sale alongside the new arrival. The updated fourth-generation Apple TV is much taller than its forebears, measuring 3.9 inches square and 1.4 inches tall, and weighing in at 15 ounces. On the front of the device is an IR receiver, while on the back of the box are four ports, with a power connection to the built-in power supply accompanied by a 100Mbps Ethernet connection, a HDMI 1.4 port, and a USB-C port. For wireless connectivity, the Apple TV offers 802.11ac Wi-Fi connections with MIMO, and Bluetooth 4.0. The Siri Remote introduced with this model features typical navigation and control buttons including volume, play and pause, home, Siri, and menu keys. Above the button collection is a glass touch surface for navigating menu screens, and dual microphones at the top for giving Siri instructions. The remote also includes Bluetooth 4.0 connectivity an IR transmitter, an accelerometer, and a gyroscope, allowing it to be used for more applications than menu navigation, such as games. It has a Lightning connector for recharging the battery, which is said to provide months of battery life for each charge, with typical daily usage. Video is still limited to 1080p, at up to 60fps for H.264 video, with support for H.264 Baseline Profile level 3.0 or lower, and MPEG-4 video. Audio formats supported by the Apple TV include HE-AAC V1, AAC up to 320Kbps, protected AAC from the iTunes Store, MP3 up to 320Kbps, MP3 VBR, Apple Lossless AIFF, WAV, Dolby Digital 5.1, and Dolby Digital Plus 7.1. A departure from the operating system used on earlier Apple TV models, the fourth-generation device uses tvOS, an updated platform that is more flexible to both users and content providers. As part of tvOS, Apple allows users to search through content using Siri, with query results displayed on the connected screen. The virtual assistant can be triggered by pressing the dedicated button on the Siri Remote, with the query spoken through the remote's dual microphones. Siri can be used for searching through movies and TV shows for something to watch, to control playback, and some non-video queries, such as weather reports, stocks, and sports scores. Also in a departure from earlier models, tvOS makes it easier for developers to create apps that will work with the set-top box. As of August 2017, there are over 1,600 video apps that work with the Apple TV, giving users an extremely wide catalog of content to view. This also allows alternative types of app to work through the Apple TV, including shopping interfaces and games, which can be used with both the stock remote and compatible third-party gamepads. Apple has lastly deprovincialized search, meaning that results for a film or show will offer options not just for iTunes but for a variety of other services. While slowly growing in terms of support, users can search for content within multiple apps simultaneously using Siri, with the results page indicating all services through which a particular piece of content can be viewed. Customers are currently able to rent and buy TV shows and movies from the iTunes Store, allowing the content to be viewed on the Apple TV, iPhone, iPad, and on Mac. Due to being able to install third-party apps onto the fourth-generation Apple TV, it is also possible for users to watch video from a wide variety of streaming services. In many cases, thanks to the growth of single sign-on, it is also relatively easy for pay TV subscribers to access their subscriptions through Apple TV apps. Apple is still working on creating its own content for the Apple Music streaming service, including "Carpool Karaoke", "Planet of the Apps," and a variety of other shows and films. This content can be accessed alongside the rest of the Apple Music track catalog through the Apple TV as part of the Apple Music subscription. 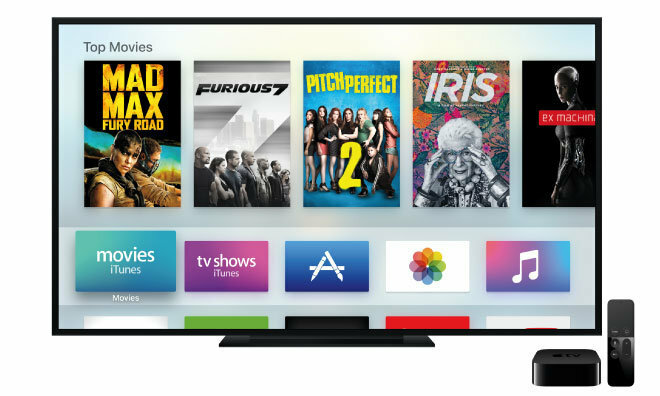 Despite rumors speculating Apple was gearing up to provide a TV subscription service to its customers, the fabled product is still missing in action. The rumors suggested it could include a "skinny" bundle of channels for a monthly fee as an alternative to a normal pay-TV subscription. Some reports have claimed Apple has been negotiating content rights with television networks and content producers for a considerable amount time, but crucially with no expected launch time for the prospective service. In the meantime, other streaming TV services have started up, making it much tougher for Apple to penetrate the market, if it is still intending to do so. 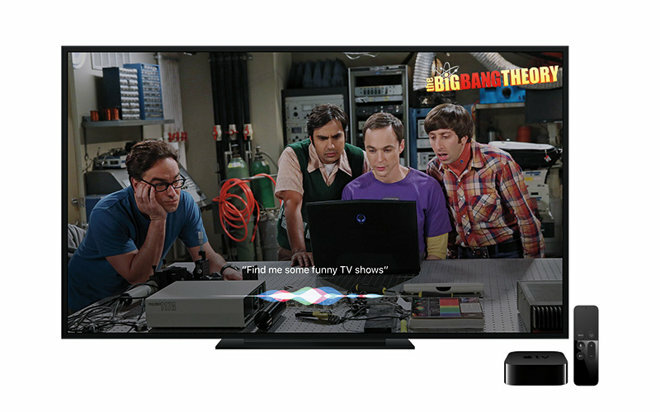 The fourth-generation Apple TV shipped on September 9, 2015. The 32-gigabyte version is priced at $149. Originally the 64-gigabyte model was available for $199, but with the introduction of the Apple TV 4K in September 2017, this capacity option was removed.